Asbestos is a naturally occurring mineral fibre. 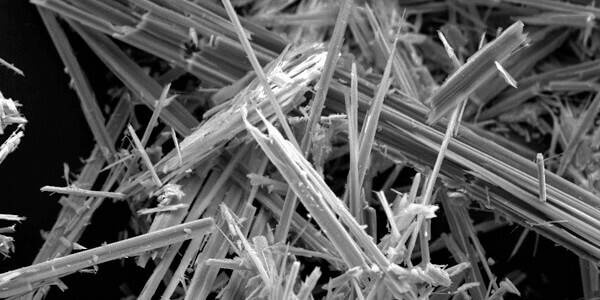 There are several types of asbestos fibres and are normally identified by means of specific sampling and laboratory testing. In the past asbestos was added to a variety of products to strengthen them and to provide heat insulation and chemical resistance. The risk of lung cancer and mesothelioma increases with the number of fibres inhaled. The risk of developing lung cancer from inhaling asbestos fibres is also increased if you smoke. People who get asbestosis have usually been exposed to high levels of asbestos over a significant period of time. The symptoms of these diseases do not usually appear until about 20 to 30 years after the first exposure to asbestos. Most people exposed to small amounts of asbestos do not develop these health problems. However asbestos materials that are disturbed or broken may release asbestos fibres which can be inhaled into the lungs. Theses fibres can remain there for a long time, increasing the risk of disease. Asbestos materials that crumble easily when handled or that have been sawn, drilled, scraped, or sanded into a powder, are more likely to create a health hazard. Pipes, boilers, and heating systems: Insulated with an asbestos blanket, asbestos paper or asbestos insulation products. These materials may release asbestos fibres if damaged, repaired, or removed improperly. Soundproofing or coating material sprayed on walls and ceilings. Loose, crumbly, or water–damaged material may release fibres. So will sanding, drilling, or scraping the material. Insulating Board Materials. Used to form wall panels, ceiling tiles, firebreaks etc. Loose, crumbly, or water–damaged material may release fibres. So will sanding, drilling, or scraping the material. Thermoplastic floor tiles (vinyl asbestos, asphalt, and rubber), the backing on vinyl sheet flooring, and adhesives used for installing floor tiles. Sanding tiles can release fibres. So may scraping or sanding the backing of sheet flooring during removal. Door gaskets in heating systems, wood stoves, and coal stoves. Worn seals can release asbestos fibres during use. Asbestos cement roofing. These products are not likely to release asbestos fibres unless sawed, drilled, or cut. Textured paints (ARTEX), patching and joint compounds for walls and ceilings. 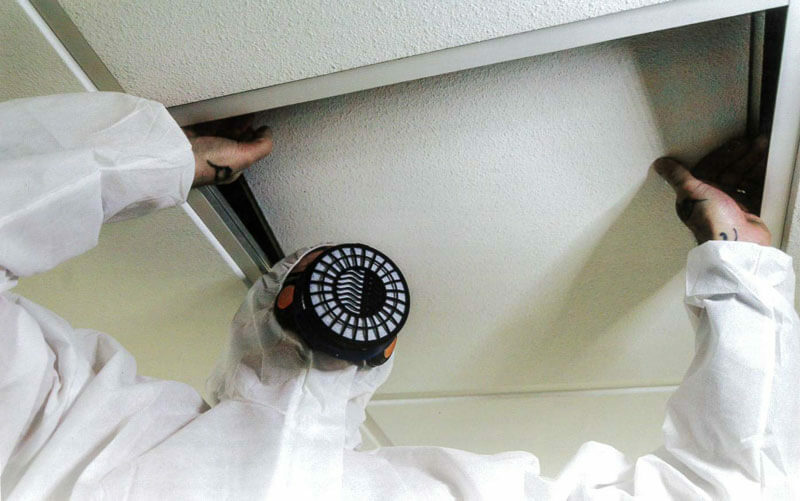 Sanding, scraping, or drilling these surfaces may release asbestos. Other older household products such as fireproof gloves, stove–top pads, ironing board covers, and certain hairdryers, automobile brake pads and linings, clutch facings, and gaskets. REMOVAL is usually the most expensive method this is because removal poses the greatest risk of fibre release. However removal may be required when making changes to your home that will disturb asbestos material. Removal may also be required if asbestos materials are damaged extensively and cannot be otherwise repaired. Improper removal of asbestos materials may lead to the spread of asbestos contamination and therefore increase the risk to personal safety. If you think asbestos may be in your home, don’t panic! If the asbestos material is in good condition it is normally safe to leave it where it is. Check the material regularly if you suspect it may contain asbestos. Don’t touch it, but look for signs of wear or damage such as tears, abrasions, or water damage. Damaged material may release asbestos fibres. This is particularly true if you disturb it by hitting, rubbing, or handling it, or if it is exposed to extreme vibration or air flow. Sometimes, the best way to deal with slightly damaged material is to limit access to the area and not touch or disturb it. Always consult with an asbestos specialist if you believe you need to remove or dispose of asbestos materials or check with your local health, environmental, or other appropriate officials to find out proper handling and disposal procedures. How to identify materials that contains asbestos? You can’t tell whether a material contains asbestos simply by looking at it, unless it is labelled. If in doubt, treat the material as if it contains asbestos or have it sampled and analysed by a qualified professional. Only fully trained individuals should take samples for analysis, since a professional knows what to look for, and because there may be an increased health risk if fibres are released during the sampling process. In fact, if done incorrectly, sampling can be more hazardous than leaving the material alone. Taking samples your-self is not recommended. Material that is in good condition and will not be disturbed should be left alone. Asbestos do’s and don’ts for the homeowner. 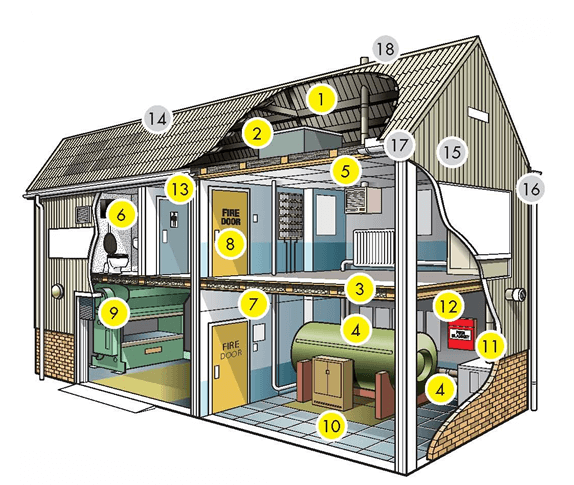 Where asbestos hazards may be found in the home? How to manage an asbestos problem. If the asbestos material is in good condition and will not be disturbed, do nothing! If it is a problem, there are two types of corrections: repair and removal. Sealing (encapsulation) involves treating the material with a sealant that either binds the asbestos fibres together or coats the material so fibres are not released. Pipe and boiler insulation can sometimes be repaired this way. This should be done only by a professional trained to handle asbestos safely. Covering (enclosure) involves placing something over or around the material that contains asbestos to prevent release of fibres. Exposed insulated piping may be covered with a protective wrap or jacket. Major repairs must only be carried out by a professional trained in methods for safely handling asbestos. Minor repairs should also be done by a professional since there is always a risk of exposure to fibres when asbestos is disturbed. Doing minor repairs yourself is not recommended since improper handling of asbestos materials can create a hazard where none previously existed. Asbestos professionals: Who are they, and what can they do? Asbestos professionals like Tru-Environmental are trained in handling asbestos material. They can conduct inspections, take samples of suspected material, assess its condition, and advise about the best methods for the removal or making safe of the asbestos containing materials that are identified.